I'm getting background hightlighting changes that I cant seen to get rid of and it is very annoying. Could you not display where these things are coming from when selecting hovering over them. It would make it so much easier for usres to determine where to change the behavoir. 1.) Font backgrounds - obviously its an html highight, for not all fonts exhibit it. I've tried turning off a number of settings, it just won't go away. 2.) Even more annoying for me. I've mucked about with the code and changed settings and it will just not go away. 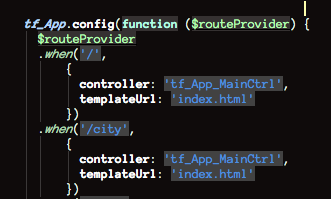 I'm happy for all the syntax and error checking, but sometimes too much of a good thing is a pain in the <wazoo>. Please do try to implement some way to determine which settings are being applied from the interface itself, like is done with CSS. It would save so much time. I can't belive how much time I've burned on this.